Black Dune is a black marble (Calcitic Marble), natural stone. From the dark depths of its black background emerge profuse linear stretch marks with filamentous character. This natural stone allows playing with the unidirectional concept of its veins while providing a rich, clean and organized style to the entire space. 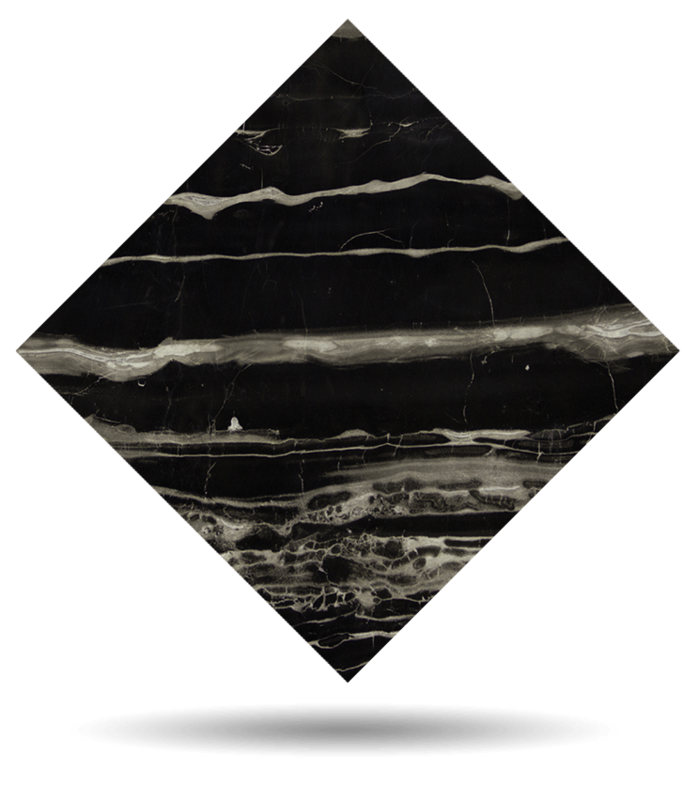 The linearity of black marble Black Dune stripes makes it a particularly attractive black marble for architects and interior designers in the field of natural stone cladding and luxury hospitality. It looks sublime in interiors, bathrooms, kitchens, worktops, and showers. TINO Collection standard surface finishes are: Polished, Honed, Domus and Sandblasted. TINO offers black marble Black Dune in any formats and finishes desired by the customer. Check maximum size per finish. For other finishes, please check availability and sizes.